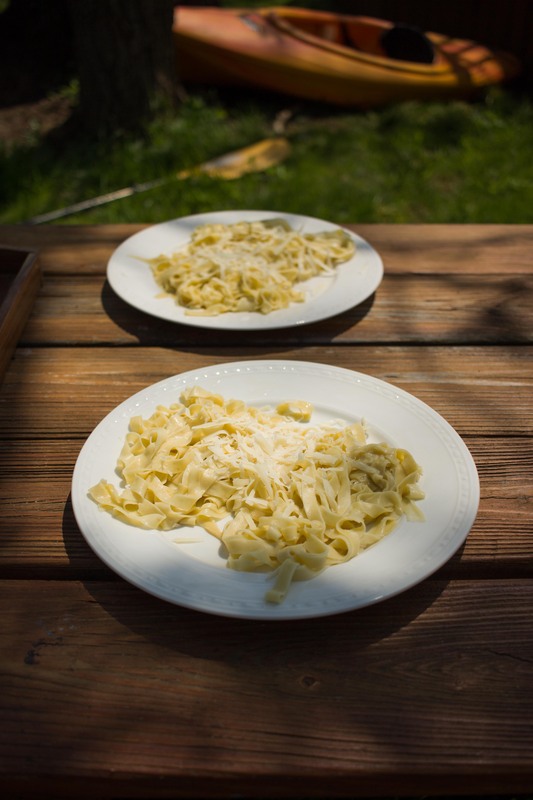 When I sat outside at a picnic table eating this heavenly pasta, I was in a state of euphoria. The expression, “I couldn’t be happier” came out of my mouth repeatedly. It was the truth. I was totally consumed by the present moment. It wasn’t until half way through my plate of pasta that I took a moment to look at my surroundings. Here I was on my friend’s farm. We sat under a walnut tree, looking out over the pond. The sound of her chickens and donkeys was in the background. 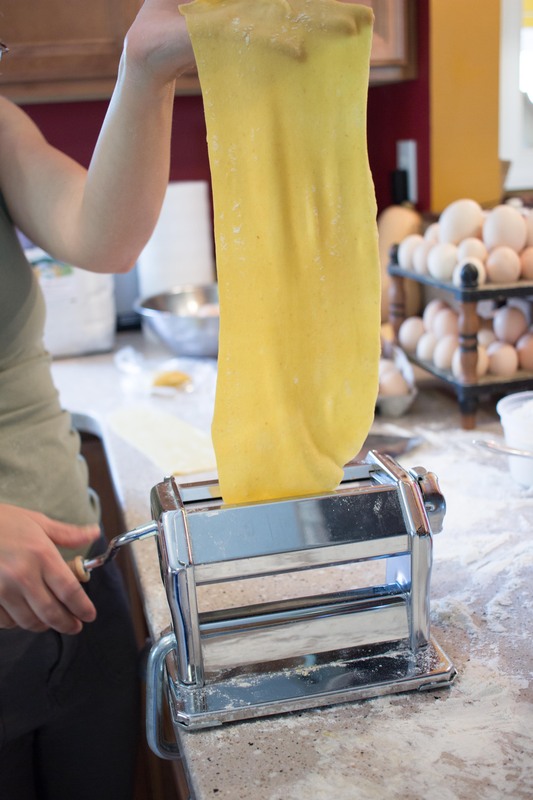 Her children, busy in the kitchen, rolling out remnant pieces of pasta dough. In front of me, the most delicious pasta and across from me, a wonderful friend. ARE YOU FREAKING KIDDING ME!? No, I’m not. This for real happened. Yesterday. Now, lest it get too blissful for you, I’ll keep it real. Have you ever been in such a state of peace and happiness that you yank yourself out of it? Do you start thinking, “I still have 50 other things to accomplish today, I really should be at work, do I deserve to be doing this right now, damn I forgot to email that person back”…? And on and on it goes. I started doing that yesterday. And then I stopped. I’m over it. I’m over the rat race, the never-ending quest to get ahead, the excess, the over-consumption, over-stimulation, over-scheduling. These thoughts have been swirling around in my head for some time. And yesterday, just a simple plate of pasta that my friend and I made by hand confirmed what I already knew. Enough is enough. Special equipment: you will need a pasta maker. Hop on Amazon and have one at your door in 2 days. Bam. 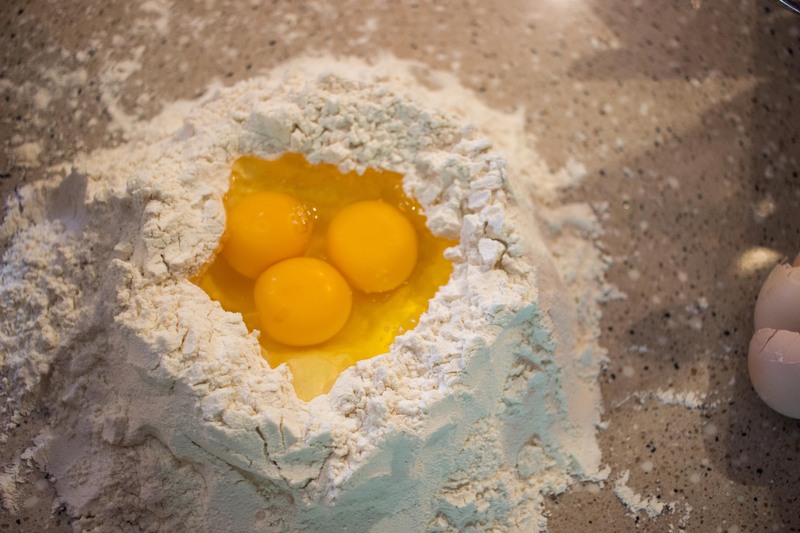 With a fork, gently whisk the eggs, and then slowly begin to incorporate the flour into the eggs from the edges of your well. Be patient, it will soon come together in a shaggy mess. Once this happens, begin to knead the dough in the flour. 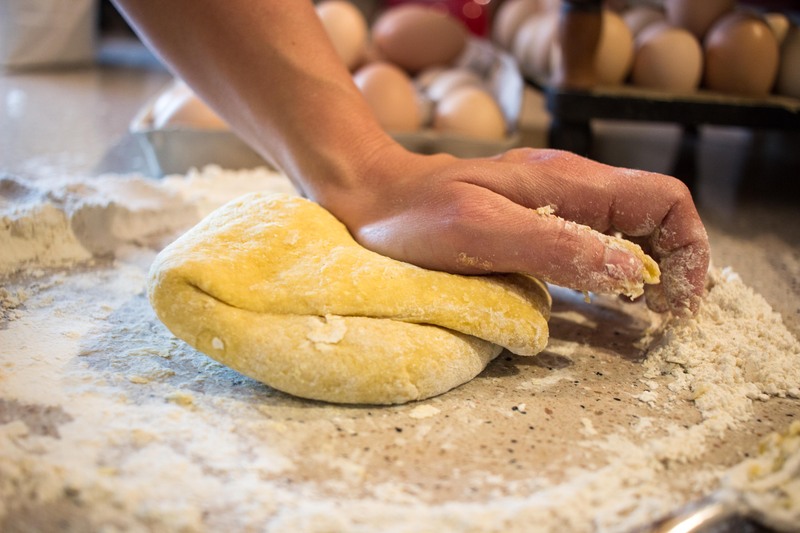 Continue kneading until all the flour is incorporated and you’re left with a smooth ball of dough. If it’s too sticky, add more flour. If it’s too dry, wet your hands with some water. Knead for about 3-5 minutes. Wrap your dough in plastic wrap and let it rest for 20 minutes. 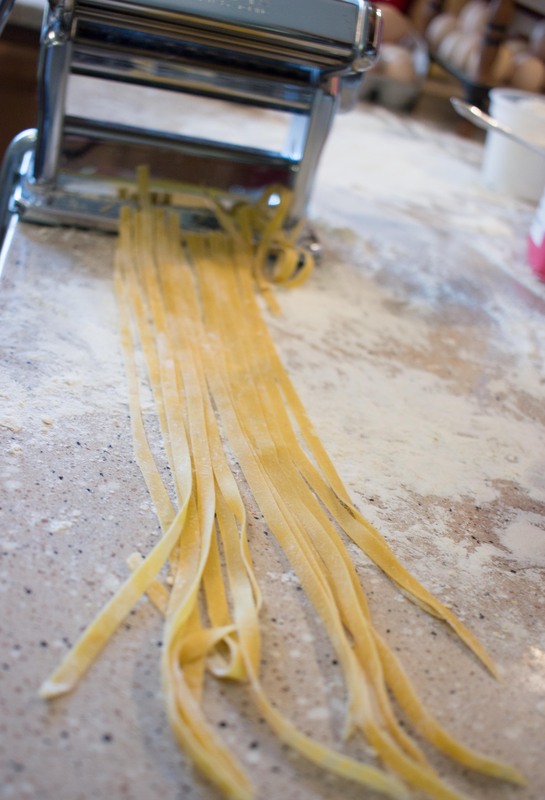 Follow your pasta maker instructions to roll out your pasta into your desired shape. Cook your pasta for just a couple minutes in salted water. Top with olive oil, parmesan cheese, and fresh cracked black pepper. Eat and be happy.